Recently, PT. Dycode was visited by a special guest from private television station, guess who? That is Kompas TV! Kompas TV as the one of Indonesian Television Station with the tagline “Inspirasi Indonesia” look for an information for their program, TEKNO. TEKNO is a program of Kompas TV which is explaining all aspect of technology. For instance, explaining in detail the strength and weakness of latest gadgets until informing the progress of technology. All of those informations are definitely explained by technology expert. FYI, Kompas TV can also be accessed from Bandung, on STV 34 UHF. On January 15, PT. Dycode has an opportunity to come foward on this show. Movreak, as the one of PT. 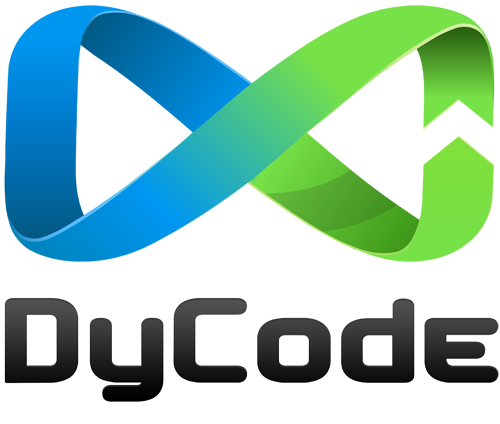 Dycode’s creation is mostly performed in this program. In that edition, TEKNO is talking about movie industry and how both of internet and mobile application technology contribute to it. As the well-known mobile application that can be downloaded at App store and Ovi Store, movreak has contributed to movie industry in Indonesia. Movreak or Movie Freak is a social network-based Mobile App relating with movies and cinema. This application can be used to view and sharing movie information, check the showtime and seat-plan, share movie reviews with email, SMS, Twitter and Facebook. And proudly, this Mobile App was originally created by Indonesian people. Movreak also awarded as the Best Local Mobile Application in Indonesia Cellular Award 2011, as Best Mobile in SparX Up Award 2010, being One of the Winner of iMulai 3.0 and voted as One of Asia’s Top 50 Apps. Yet, these kinds of achievement didn’t make us fully satisfied. As a dynamic micro Independent Software Vendor (ISV), Dycode is still trying hard for reaching our aim to contribute in IT world more and more. Before the program showed, the shooting process were taken on January 13, placed at DyPlex, which Dycode office is called. The shooting process was taking quiet long time. Kompas TV Crew began their job by interviewing our CEO, Andri Yadi then continue with interview and capturing all activities of people behind Movreak. Finally all of pictures and information have been taking by Kompas TV crew. And we had been on-air at Kompas TV on Saturday (January 14) at 23.30 and Sunday (January 15) at 11.30. Warmest Thanks for Kompas TV! Over than a month ago (exactly December 11, 2011) CEO of PT. DyCode Comminfotech Developmet, Andri Yadi came to UNPAD (Universitas Padjadjaran) to share his knowledge and experience relating with the theme of this seminar, which is entitled “Technopreneur, Building and Expanding Online Business Power”. This Seminar was held by Business Administration Major of UNPAD and attended by 200 people came from various University and mostly coming from UNPAD and UNIKOM. Sub-theme of this seminar was raising the issues about Technology and Business. All of the speakers were coming from Business and Technology background, which mostly called as “Start-Up”. The speakers are consist of Andri Yadi (PT. Dycode), Setyagus Sucipto (Gantibaju.com), Rama Mamuaya (DailySocial.net) and Ollie (Kutukutubuku.com). In this occasion, Andri Yadi delivered a speaking about mobile application development as a new trend of Business and Technology. The slides of presentation can be downloaded Here.